Firstly, this stunning floral midi is quite reminiscent of The Vampire’s Wife dresses. Clearly inspired by the past, Susie Cave’s beautiful dresses come with a hefty price tag, whereas this 70s original is a much more reasonable £50. 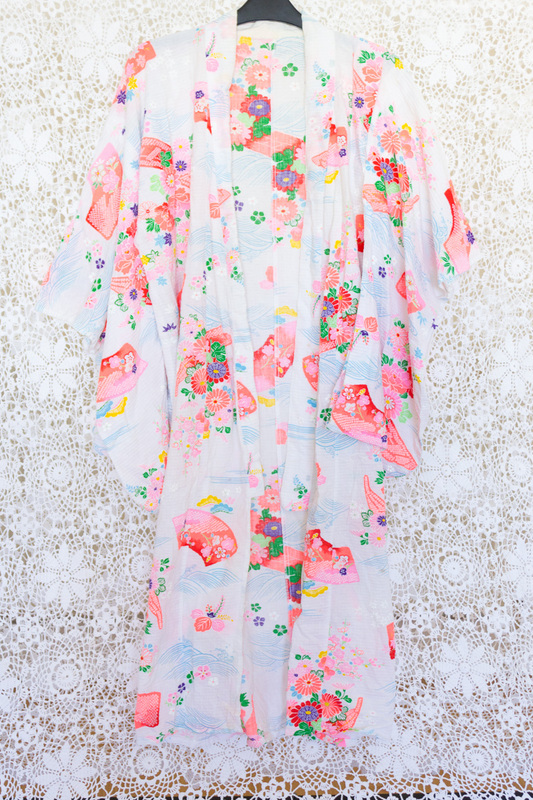 This wonderful floral kimono is another favourite for sure. It’ll look amazing worn over a maxi dress, or teamed with a vest and skinny jeans for a more laid back look! You really can’t beat an original kimono, the prints are so unique and still very wearable. If you’re going to a festival or just dress like you are on a day to day basis (I definitely do), this dress is festival perfection! From the sleeves to the bold print, it’s also super comfortable to wear from day to night! 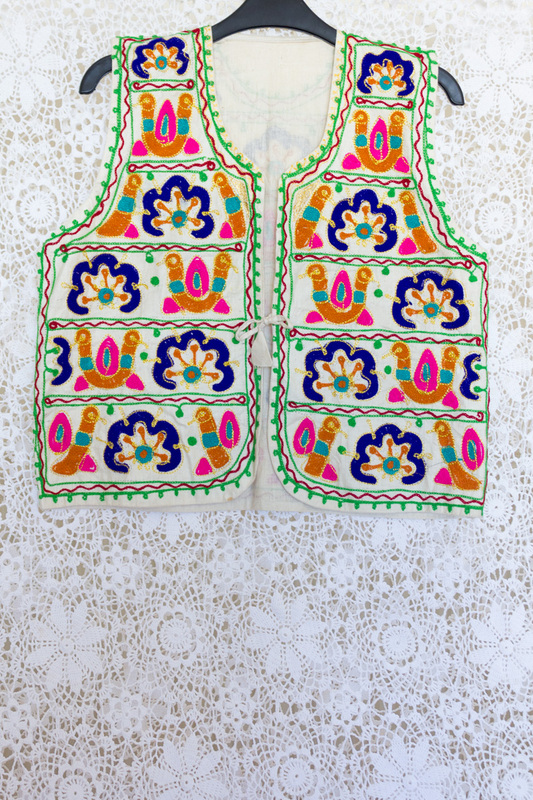 Speaking of festival fashion, this waistcoat is another perfect piece to brighten up your outfits! 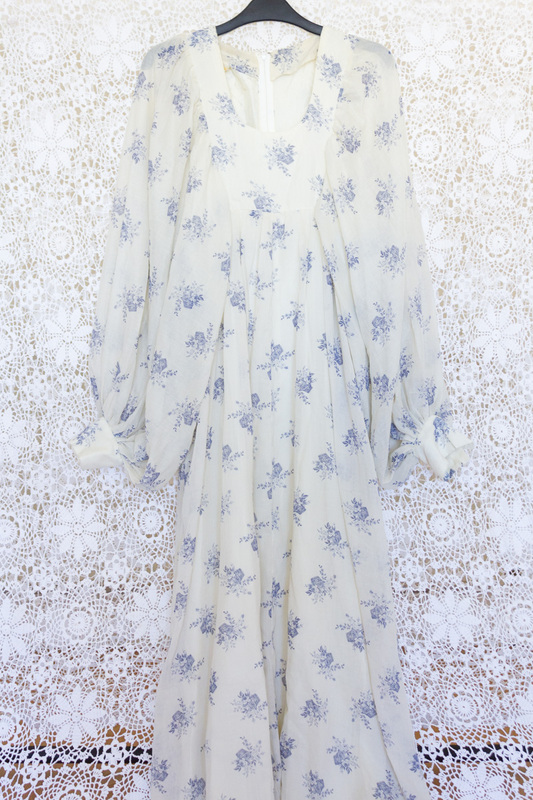 It’d look great with a lace mini dress, or peasant blouse and shorts. And if you like this, you’ll probably like this elephant one too. 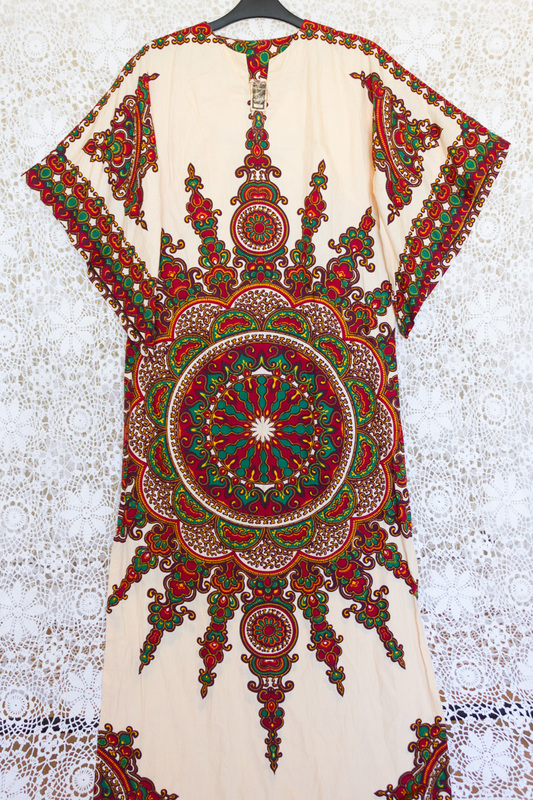 The print on this maxi dress is just beautiful! If it fit me, I’m sure it’d be much harder to part with. It completely epitomises the lovely boho dresses of the early 70s, with wonderful balloon sleeves and a delicate, flowing shape. There’s also something quite timeless about it, which might be because the 70s trend doesn’t seem to be disappearing any time soon! Finally, great 60s summer wear isn’t that easy to find. 60s vintage is often made from very thick fabric and better suited to colder weather, but not this dress. 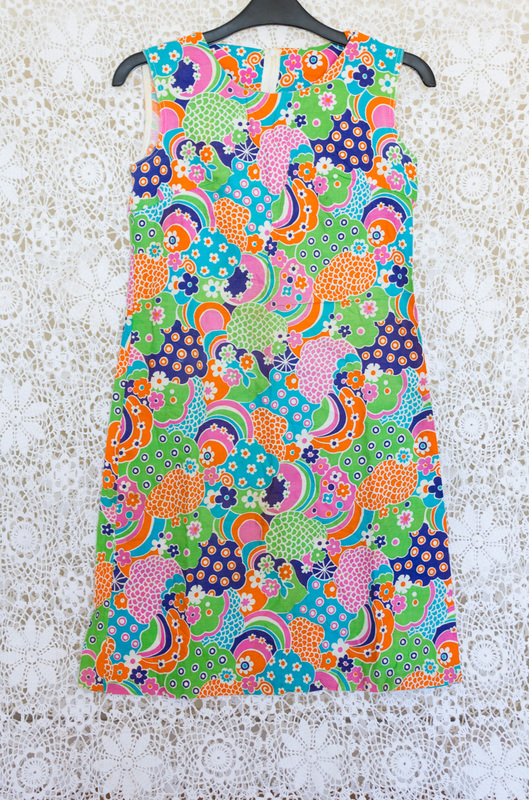 In a lightweight cotton, in fun, bold colours, it’s such a great dress for summer! 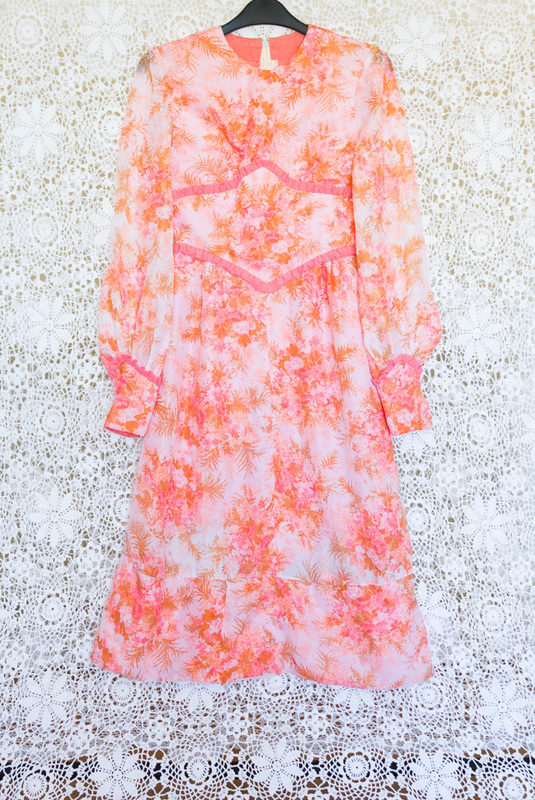 It really is a 60s lover’s dream dress! Want to see more? You can shop all new arrivals here and see first looks if you’re following The Vintage Wardrobe on Instagram, Facebook and Twitter.